We’ve written a test for our socket.io code, but it keeps failing. Lots of troubleshooting later (mostly off-camera), including a bug report for socket.io, we have it figured out. 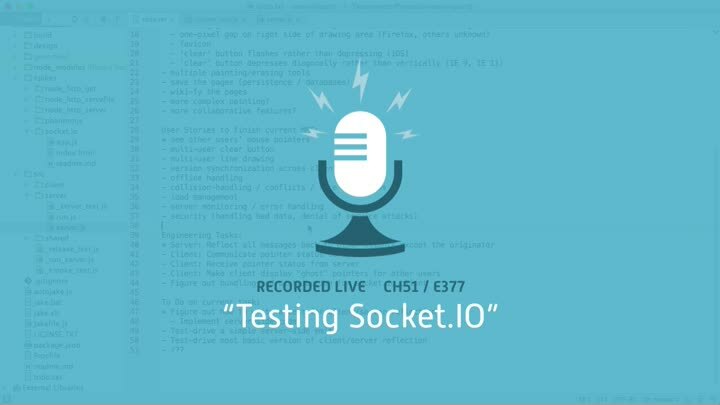 We can test-drive socket.io code! Now we’re ready to kick it into high gear.